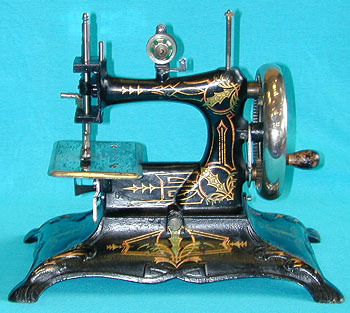 Toy sewing machine - Casige No.6. Of cast iron construction, the Casige No.6 sometimes appears with an alternative floral design. The top of the machine hinges backwards to reveal a small accessory compartment. A similar feature is also seen on some Muller No.12s.